UPDATE 3:13PM: The Senate votes 49-1 to adjourn Sine Die. Sen. Scott Sales (R-Bozeman) opposing–as a joke, it seemed. UPDATE 3:07: The Senate voted 28-22 to approve the budget amendments reached between the House and Governor Bullock. Senators are giving closing speeches. UPDATE 2:34: The budget amendments are brought up onto the Senate floor on the 4th time through the vote– 37-13. The body is now taking a short break. UPDATE 2:21: The Senate again failed to bring the budget amendments to the floor, losing a vote. 32-18. UPDATE 2:00 PM: Several sources reporting Senator Jonathan Windy Boy (D-Box Elder) voted against bringing budget amendments to Senate floor. UPDATE 1:47 PM: The Senate has just gavelled back into order and failed to bring SB410 onto the floor with a 33-17 vote. It needed a 34-16 vote. 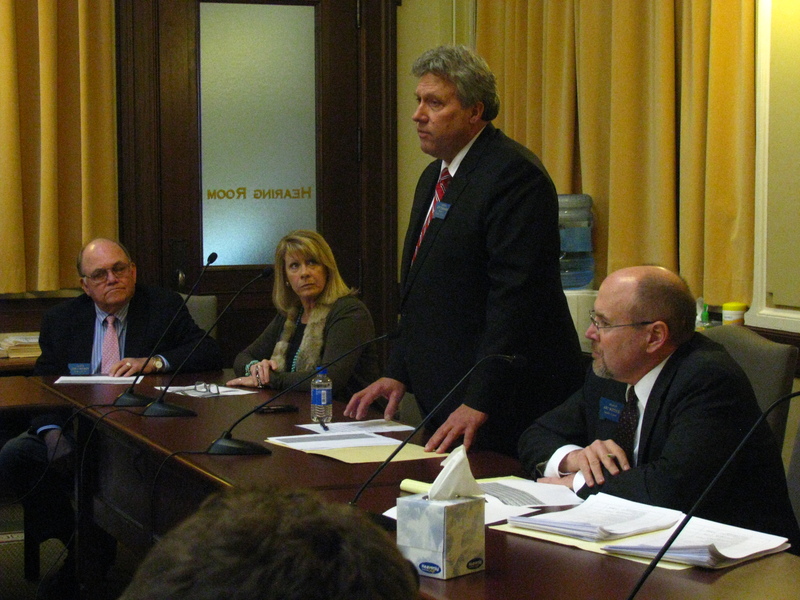 Senate lawmakers have reached an impasse on the state budget deal negotiated last night between the House of Representatives and Governor Steve Bullock just a couple of hours after the House adjourned for the 2013 Legislative Session. The Senate failed to reach the required two-thirds majority vote needed to suspend the body’s rules and accept SB410 for consideration, a bill containing amendments to the state budget. The vote was 27-23. 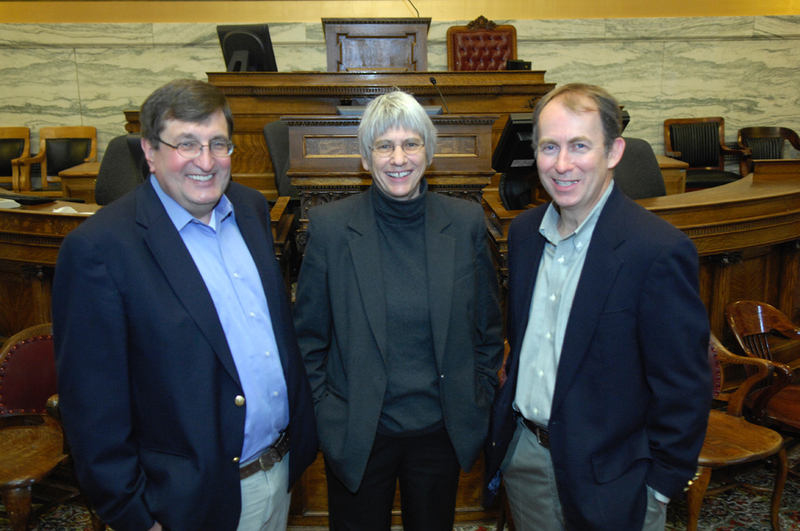 SB410 was the product of late-night negotiations with Governor Bullock on the state’s main budget bill, HB2. Bullock has said HB2 as it stands is not acceptable, and the amendments included in SB410 were an attempt to prevent his veto. Senate Republican leadership characterizes the vote not to accept the budget amendment bill as a bargaining tool to try to get more of their bills signed by the Governor. Senate majority and minority leadership gathered just outside the Senate chambers for an intense exhange immediately following the 27-23 vote. “To bring it (SB410) over here as part of the process was understood between the Speaker and the Governor,” said Senate Minority Leader Jon Sesso. “You were given every opportunity to participate in those negotiations last night,” said Senate Minority Leader Jon Sesso. “I think we have to see if the Governor wants to talk,” said Senator Jason Priest (R-Red Lodge), speaking with reporters after the heated discussion with Senator Sesso. Priest says Senate leadership wants to speak with the Governor on ‘a handful of priority bills’ but would not elaborate on what those bills are. Senator Priest and President Essman were present in negotiations yesterday. Still playing games, trying to get more. Speaker so upset he leaves building. Ankey wonders what happened to integrity. The Senate still stands in recess after the decision. We will be bringing you more on what still may be (but who knows now) the last day of the 2013 Legislature. The Governor’s office says his bill will expand Medicaid to 70-thousand needy Montanans and create five-thousand jobs in the next year. The Federal Government will cover 100-percent of the expansion costs, but the state would face about $5 million in administrative costs related to the expansion and other requirements of the Affordable Care Act over the next two years, according to a report by the Montana Department of Health and Human Services. But the late introduction is giving Republican lawmakers pause. “We’ve been waiting for quite some time to see the Governor’s bill, and finally it’s introduced,” said House Speaker Rep. Mark Blasdel (R-Somers) Blasdel has assigned the bill to the House Human Services Committee where a hearing will be held on March 25th. Priest is sponsoring a bill which would push back any implementation of Medicaid Expansion. As Mike Dennison of Lee Newspapers reports, the bill would create a bi-partisan committee to study Medicaid Expansion over the next two-year legislative interim period. Priest does not support Bullock’s bill as written. He advocates other reform systems for the uninsured, such as the idea of providing premium support for low-income Montanans to buy health insurance on the open-market. “If we can reform the existing Medicaid system and the expanded population then I’m willing to consider voting to implement a reformed system under Obamacare,” Priest said. Representative Hunter calls Priest’s bill to create a study committee on Medicaid Expansion a delay tactic. He says the Legislature also created a study committee after voting in 2011 not to create a state-run healthcare exchange under the Affordable Care Act. “That study bill really resulted in no meaningful study and no progress on the issue. That’s how I see this proposal as well,” Hunter said. Republican leaders in the Montana Senate are reacting to a series of emails showing a sharp divide between the moderate and conservative factions of their party. The private emails obtained by the Great Falls Tribune speak of a long-term strategy of Senate President Jeff Essman (R-Billings) to create an atmosphere leading to a more conservative Legislature and a more conservative Montana Supreme Court. In the emails, Essman suggested moderate Republicans could ‘derail the conservative agenda.’ He said moderates were in a position to block such an agenda if they decide to align with Democrats. But on Thursday afternoon, Essman tried to alleviate sore feelings about the emails during a Senate Republican Caucus meeting. He said he’s always been consistent about his agenda to create a ‘conservative, balanced budget.’ He assured the group he was elected Senate President to serve the whole body, Republicans and Democrats. “My responsibility to them is to make sure their bills get a fair hearing and that the rights of the minority are respected,” he said. Essman defeated 2011 Senate President Jim Peterson (R-Buffalo)a, who did run for re-election. Peterson is seen as more moderate by comparison, and was referred to several times in the emails among Essman, Senate Majority Leader Art Wittich, Majority Whip Eric Moore and Senators Jason Priest, Ed Walker and Dave Lewis. “You know, Reagan prided himself on being able to hear both sides of a conversation and finding a solution. And here that’s getting tougher to do…without feeling your future being jeopardized,” Peterson said. Senate Majority Leader Art Wittich (R-Bozeman) doesn’t shy away from saying he was strategizing for a way to promote his world view in the emails. He said the ideological debate going on within the GOP is a discussion happening across the country and that the emails don’t change the intentions of his party to work across the aisle and within their own aisle to find common ground.